The paper analyzes the optimal design of competition law in Western Balkan countries. It first identifies the “policy choice set”, i.e. the essential variables that define a competition policy regime; then considers how the optimal choice within the available options depends on a number of characteristics and finally examines where the Western Balkan economies stand in terms of these characteristics. This comparison allowed the authors to derive policy implications on how competition policy in Western Balkan countries should be designed and implemented. 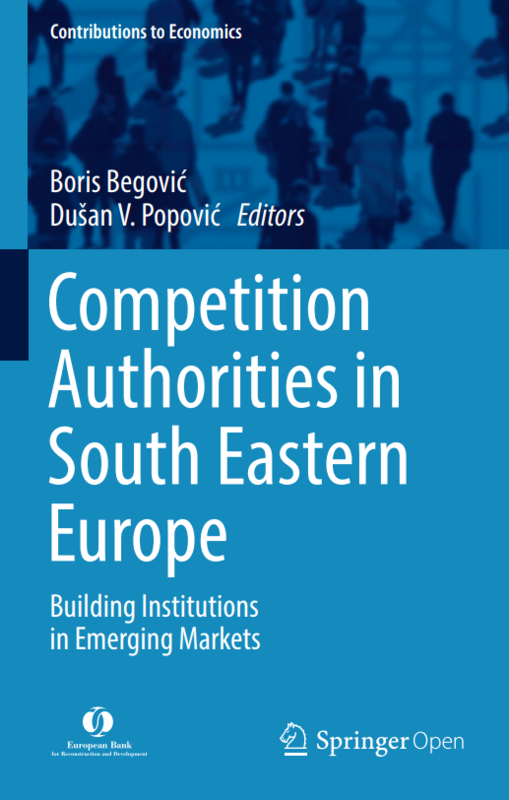 Other studies included in the publication investigate the challenges for institution building of competition authorities in South-East Europe (SEE). These countries do not have a long tradition of market economy and competition policy enforcement, and therefore the design and operation of competition authorities should take into account their specific features and the lack of resources that can be allocated to competition policy. In particular, the book addresses the use of economic methods in competition law enforcement, especially in the cases of relevant market definition and merger control.